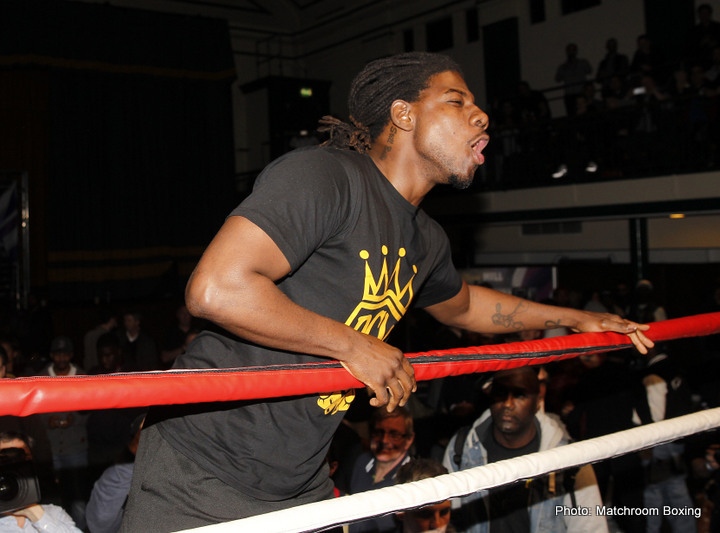 Last night in Alexandria, Louisiana, former IBF heavyweight champ “Prince” Charles Martin improved to 25-1-1(23) with a quick, one-round KO over journeyman Michael Marrone, 21-8(15). Fighting for the second time since his dire showing against unbeaten star Anthony Joshua, where the southpaw was taken out inside two disappointing rounds, Martin is now 2-0(2) in his post-Joshua comeback. A hard left hand to the body dropped Marrone, the swift end coming in the very first round. Martin didn’t exactly beat anyone of note last night – Marrone now having lost his last four on the spin, all of the defeats coming by stoppage – but he looked to be in good physical shape, his weight and conditioning appearing to be good. And with two quick comeback wins now under his belt in the past three months, Martin just might be serious about attempting to get back on top of the division he once partially ruled for a very short space of time. Martin appeared to go off the rails after the 2nd-round loss to AJ (smiling as he was as he got counted out) – posting bizarre videos on social media and generally looking as though he had lost his way. But now, a year-and-a-bit after being embarrassed in his most high profile fight, Martin seems to be back on track. With the heavyweights, it only takes one big win to get some serious momentum going and Martin, at 6’5” is big and a pretty big puncher. It will take more than quick and straightforward KO wins over the likes of Byron Polley (who Martin took out in April, a year after the Joshua disaster) and Marrone to get the fans back on his side, but if Martin keeps himself busy, who knows, maybe he can make something of his comeback. Martin against the likes of Dominic Breazeale, Adam Kownacki, Eric Molina or even Shannon Briggs would prove somewhat interesting. At age 31, Martin is certainly young enough to be able to earn himself another crack at a major fight/belt.